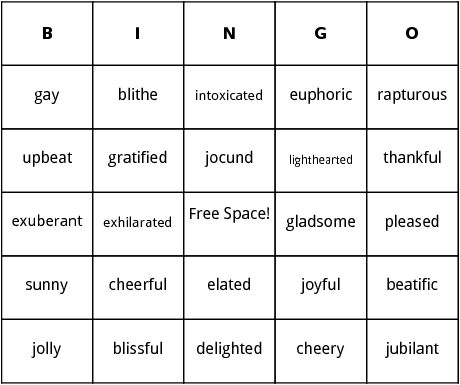 These Synonyms For Happy bingo cards are a true blissful experience. The following templates contain words that mean the same as "Happy", helpful for ones vocabulary, especially in a younger age. 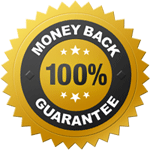 Includes words such as, cheery, entranced, sunny, buoyant and pleased.